This first photo is from the Fancy Fair that we did in May 2004, mentioned in the post Digging into the archives. 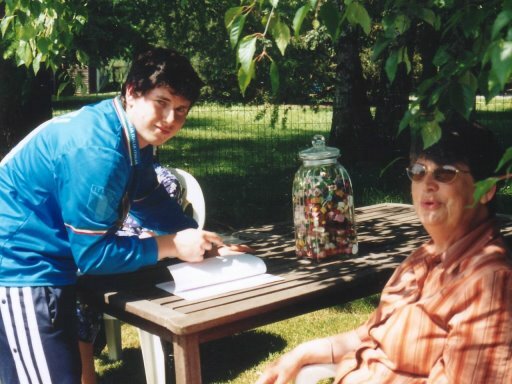 Fabian, on the left, is guessing the number of sweets in the jar whilst Maria looks on and keeps note. I have no idea who won the jar in the end, but it wasn't me. At one point we had some concerns about the foundations of the building. 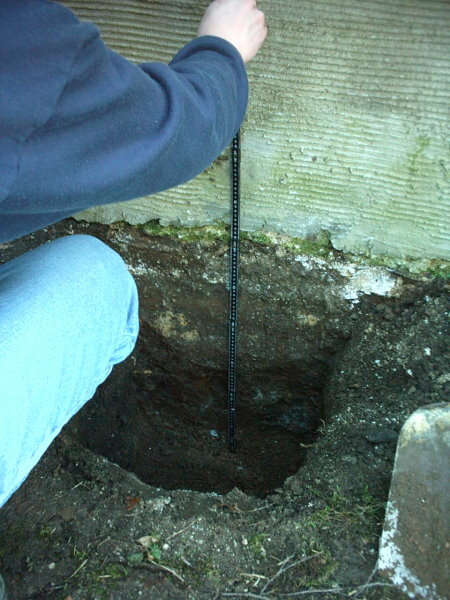 François and I went and dug a hole to try and see how deep the foundations went. They didn't go very far but it was enough - apparently. I took his word for it. So far the building hasn't fallen over so I guess that we're alright. 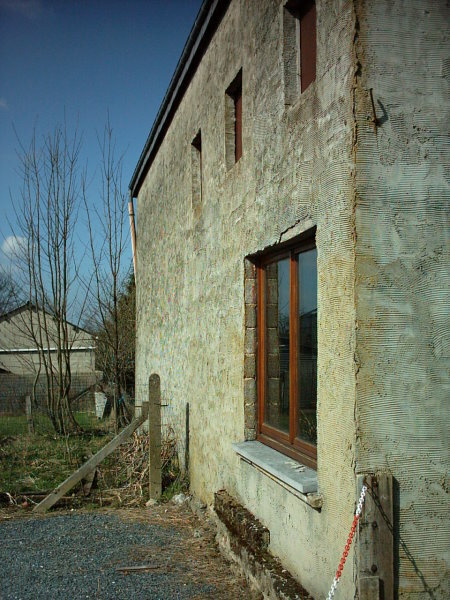 This is a shot of the side of the building looking from the front down the left hand side. The lower window no longer exists but I believe the upstairs ones are still there. I'll have to go and have a look. Finally, a view of the back of the building before any work ever got started. 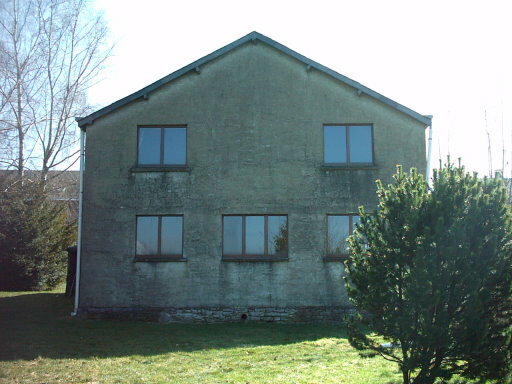 This is the first time I've included a "before" photo like this of the back of the building. There's one on the About Us page, but who looks there? I have a few more CDs to look through so maybe I'll come across some other stuff... but I think that might be it for the archives.